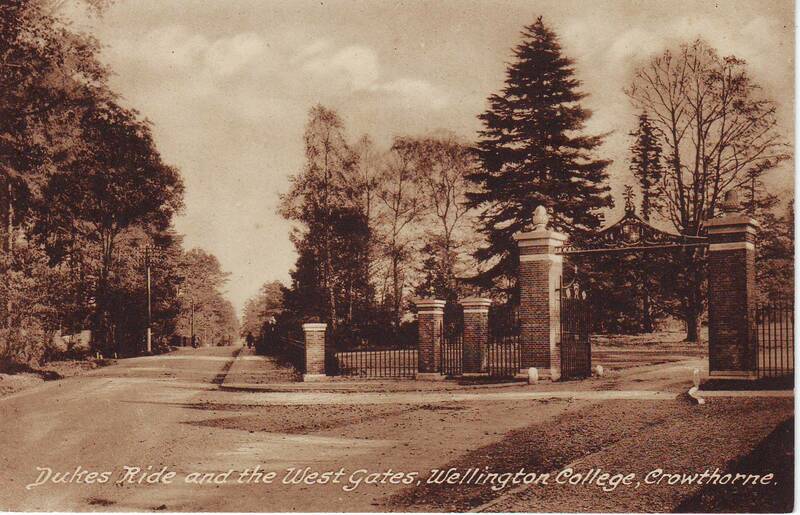 This is the main entrance into Wellington College. I think I once read that the gates get their name not from their location, but because they were given to the College by the West family. All in all, the entrance is fairly similar. The gates are still there, though the piece across the top has gone.